Dr. Reese holds hospital privileges at the St. Francis Hospital. Patients with compromising health conditions are better served with an anesthesiologist in a hospital operating room to ensure a safe surgical experience. This can be provided should you, Dr. Reese, and your physician confer. Insurance plans will vary as to their accommodation of these expenses. For those individuals who are dealing with multiple or compromising health issues, hospital based dentistry may be necessary. Although the office of Indianapolis Dentistry’s oral surgery center is equipped with state-of-the-art equipment to monitor the well-being of sedated or compromised patients (EKG, automatic blood pressure readings, pulse oximetry, Automatic External Defibrillator) some may need a hospital setting and general anesthetic to receive their dental care. Dr. Reese has been on staff at St. Francis Hospital, South Campus for over 30 years. 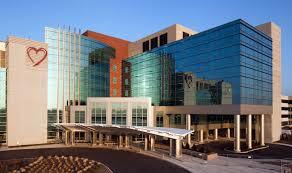 Dr. Reese can provide hospital or outpatient ambulatory operating room services. This treatment is coordinated with your attending physician for admitting purposes, and typically needs to be pre-approved by insurance carriers for purposes of determining benefits for hospital utilization. Dr. Reese is one of a few dentists, not limited to oral surgery procedures, that has maintained hospital staff privileges at St. Francis Hospital in Indianapolis. Procedures available but not limited to extraction needs, preparatory work for denture prosthetics, dental implant procedures, periodontal therapy, and routine restorative (fillings) needs.